Meditation in the marketplace means mastering your life the way you want it to be. Find out that by pausing and turning in, many of the outside conditions which were disturbing you will have less of an effect. We will practice using the ancient Zen Koan “Who is in?“ and a variety of silent, active and social meditations. Social Meditations were developed by Veeresh. Since then they have spread to 43 countries around the world. They are an ideal way to help people let go of stress, renew their energy, and come together with warmth and understanding. Become a certified Humaniversity Social Meditation Leader in this five-day comprehensive training. The Social Meditations included in this training are the Love, Peace, Dance, Our Sacred Earth, Friendship, Tan-Ju, and Samasati Meditations. Enjoy deepening your understanding of the OSHO Meditations, and learn the skills, gain the confidence to introduce them to others. 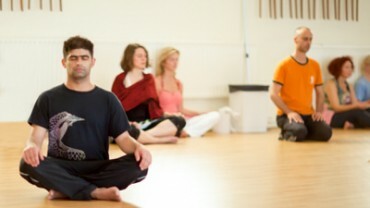 Your approach to meditation, and your understanding of the key points of each meditation, can make all the difference. These three days will be informative, experiential, and fun. Refresh your heart in the famous Humaniversity AUM Meditation. This is a high-energy event! Social Meditations were developed by Veeresh. Since then they have spread to 43 countries around the world. They are an ideal way to help people let go of stress, renew their energy, and come together with warmth and understanding. 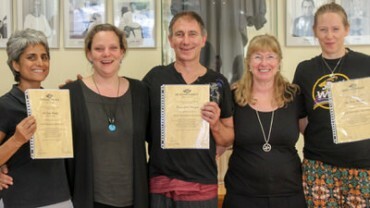 Become a certified Humaniversity Social Meditation Leader during the Body & Soul Festival. 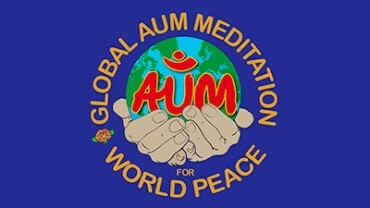 Create peace with yourself and others in the AUM Meditation. Hundreds of people in AUM‘s around the world will celebrate together on this International Day of Peace. Become part of our worldwide network of Humaniversity AUM Leaders and learn to share this life-changing process with others. This training will guide you through a deep personal transformation to become more compassionate with yourself and others in your care. When you teach from your own experience, people can identify with you and create change in their personal lives. 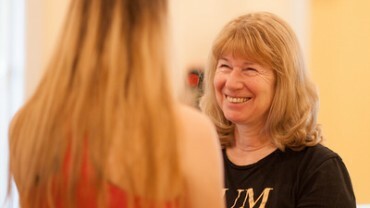 The training includes participation in Working with People. The second half of the course will be a hands-on training that includes presentation skills, video and peer group feedback, promotion, standards and ethics, and personal coaching by Chandrika and Prem Jan.